YEREVAN, Armenia – The American University of Armenia (AUA) School of Public Health (SPH) is proud to share that Dr. Nara Melikyan, a current Master of Public Health student, has been selected to join Epicentre as the Operational Research Coordinator for the endTB observational study. endTB is a four-year project funded by UNITAID and implemented by Partners In Health (PIH) and its consortium partners Médecins Sans Frontières (MSF) and Interactive Research and Development (IRD). It is designed to expand access to bedaquiline and delamanid and to generate evidence on the efficacy and safety of these drugs. The study coordinator will support the implementation of the endTB observational study in six countries where MSF has study sites. These countries are: Georgia, Armenia, Belarus, Kyrgyzstan, Myanmar, and Kenya. Dr. Melikyan will be coordinating activities related to the study, providing support to the MSF project field teams involved in the study, and interacting with the MSF country coordinators, the representatives of the Ministry of Health in the countries involved, and the central team for the endTB observational study. Prior to her appointment, she was a Research Doctor with Médecins Sans Frontières in Armenia. 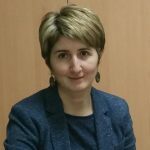 Dr. Melikyan earned her Doctor of Medicine (MD) in Pediatrics from Yerevan State Medical University in 2004 and is now completing her Master of Public Health studies at AUA. Epicentre is a non-profit organization created in 1986 by Médecins Sans Frontières. Their activities include research, field epidemiology and training. Epicentre is a World Health Organization Collaborating Centre for Research in Epidemiology and Response to Emerging Diseases.